PORT ELIZABETH – The Crested Cranes conducted a recovery session on Tuesday, a day after defeating Zimbabwe 2-1 in their final Group C game at the ongoing COSAFA Women’s Championships in South Africa. The win over Zimbabwe meant that Uganda topped the gorpu will take on defending champions South Africa in the semifinals of the competition on Thursday afternoon. 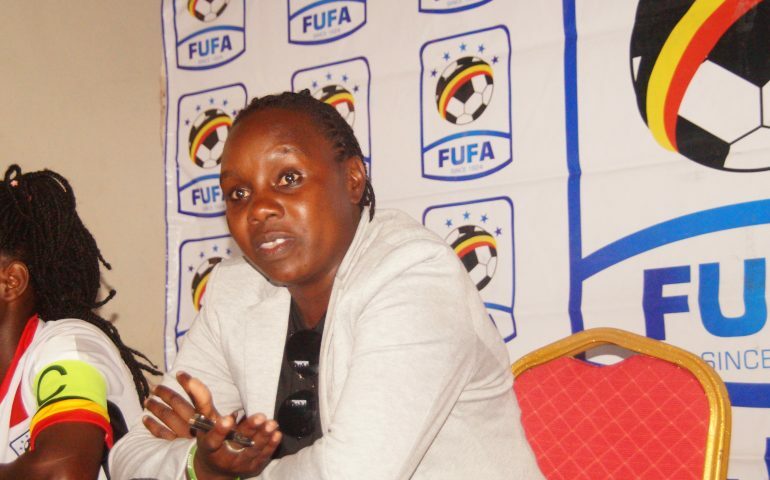 Despite the nature of Thursday’s opposition, Cranes head coach Faridah Bulega is not worried and hopes her side will overcome the defending champions. “We are extremely happy we won our last group game yesterday and finished top with seven points, said Bulega after Tuesday’s recovery session. “The draws have pitted us against the Banyana Banyana of South Africa in the semifinals are we are already doing preparations so that on Thursday we control the game and hopefully win it. “We want to be at our absolute best and utilize the chances we create and try to defend better than in the first games. “The team is in a good mood with the exception of the two ill players but its good they are undergoing treatment, continued Bulega. “I pray God is on our side and we give everyone a good game come Thursday. This will be the Crested Cranes’ fourth game in the competition. They have won two and drawn one of their first three. South Africa will offer the biggest challenge thus far. They breezed through their Group (A) unscratched, winning all three of their encounter, scoring eight and conceding only one goal in the process. They are the defending champions of the competition after defeating Zimbabwe 2-1 to win it last year edition in Harare.